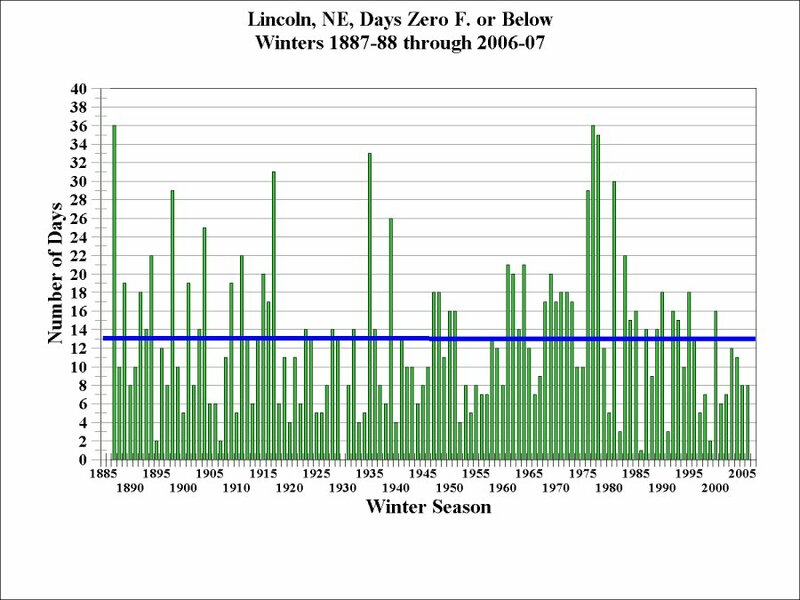 Lincoln, NE fell to or below -20o F.
January 12th has seen -33o F in 1974, -26o F in 1912, and -20o F in 1887.
fallen to or below -20o F twice in the 1990's, and that was in February 1996.
the high for that day was +6 F for a daily mean temperature of -13 F.
Each Year refers to the start of the Winter Season. The 121 winter seasons average is 13 days, (the solid horizontal blue line on the graph). The standard 30-year (1971-2000) average is 15 days, zero F or lower. The recent 10-year average, 1998-2007 is 8 days, zero F or lower. 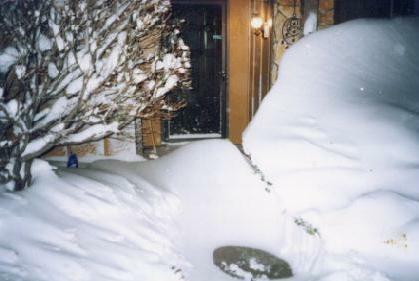 Winter 2006-2007 had 8 days with temperatures falling to 0 F or lower. The longest cold spell in Lincoln, with the temperature remaining below ZERO (0o F)? The answer is 188 hours, 5 PM, December 17 - 1 PM, December 25, 1983. March 12, 1998. A foot of fresh snow and -15o F.
A record minimum temperature for the date!